I made 1/3 of the original recipe, since the original was too much, and this math was easier. 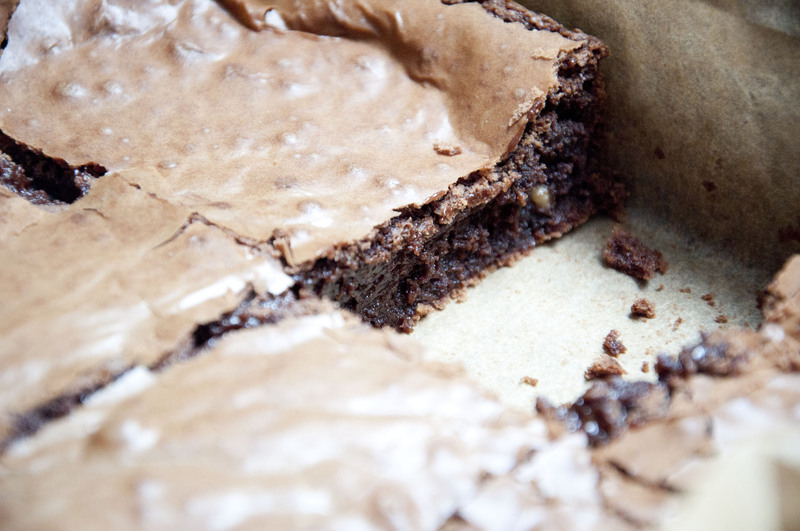 I also used a 9×13 pan, so the original brownies were quite thick. The final result is very rich—strong flavors of hazelnut and coffee. I liked the strong coffee flavor, but depends on your taste. 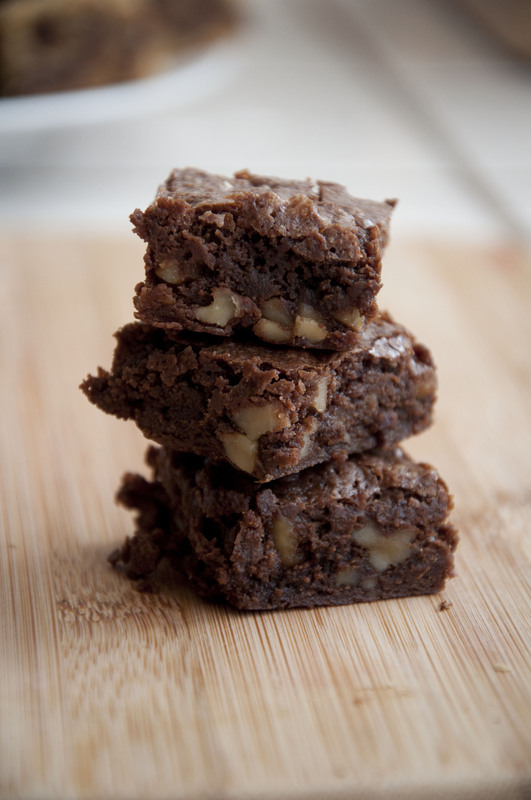 4)	Mix the rest of the chocolate chips and nuts with 1 tbsp+ 1tsp flour, then add. 5)	Bake 20 minutes, rap to force air to escape. 6)	Bake another 15 minutes until knife inserted into the center comes out clean. 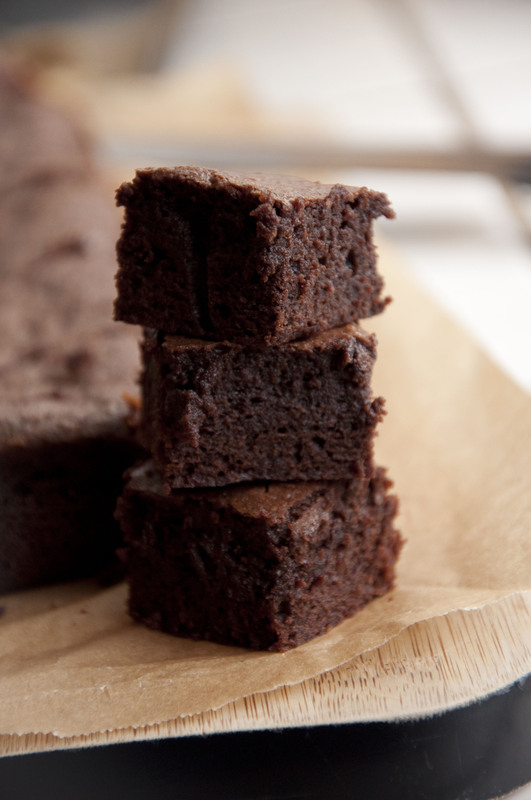 7)	Let brownies cool. Enjoy! I made a half recipe in a 9×5 loaf pan. 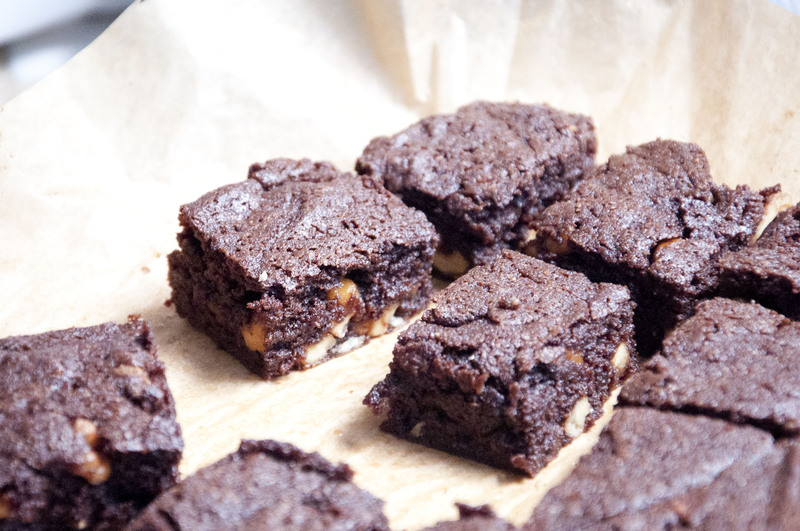 It’s extremely chocolately, and definitely the most richly chocolately of the brownie recipes I’ve tried so far. 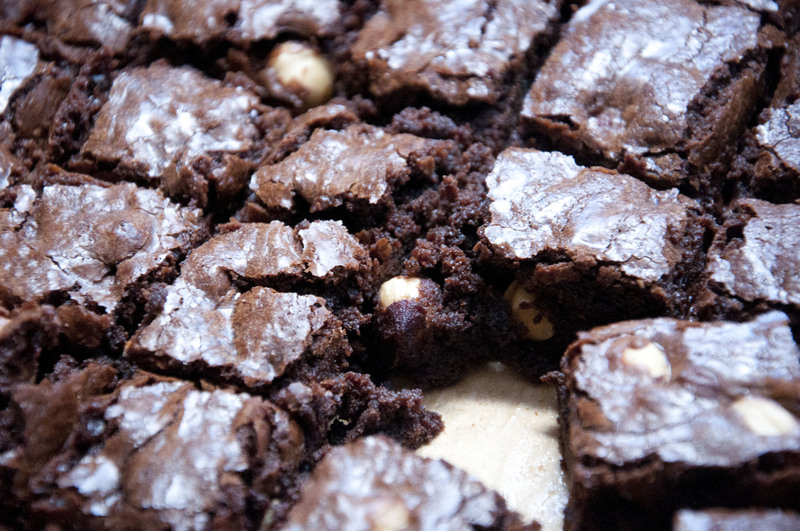 Unfortunately, the texture was a bit loose/crumbly, although it was pretty fudgy. 1 cup walnuts, almonds, hazelnuts, or pecans, toasted and coarsely chopped. 1. Preheat oven to 350F. Prepare 8×8’’ pan. 5. Mix in flour, nuts, vanilla until glossy. 6. Bake 30 minutes or until knife inserted in center comes out clean. 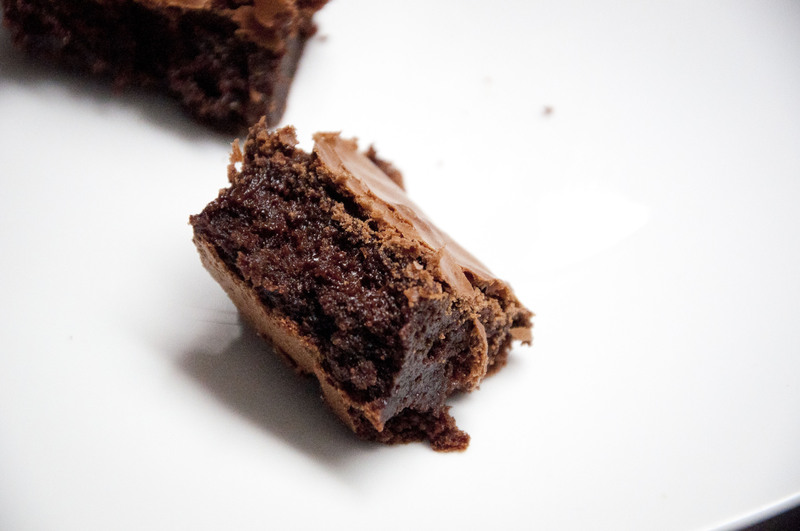 These brownies are quite rich and chocolatey, and range more on the cake-like side instead of being very gooey. That being said, they are very moist and soft. 1. Preheat oven to 325F. Prepare 9×13’’ pan by lining with parchment paper. 2. Melt butter. Add in chocolate to melted butter and stir until the chocolate melts. 3. Mix in sugar to the chocolate-butter mixture. 4. In a separate bowl, whisk eggs until they are frothy. 5. Add chocolate+butter+sugar mixture to the eggs. 6. Fold in flour, baking powder, and salt. 7. Pour batter into prepared pan. 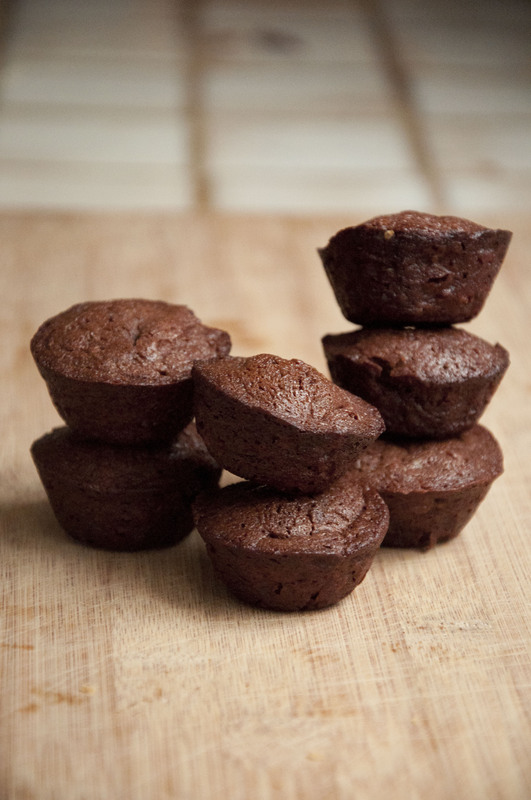 Bake 30-35 minutes, or until a knife inserted into the center comes out with a few wet crumbs. 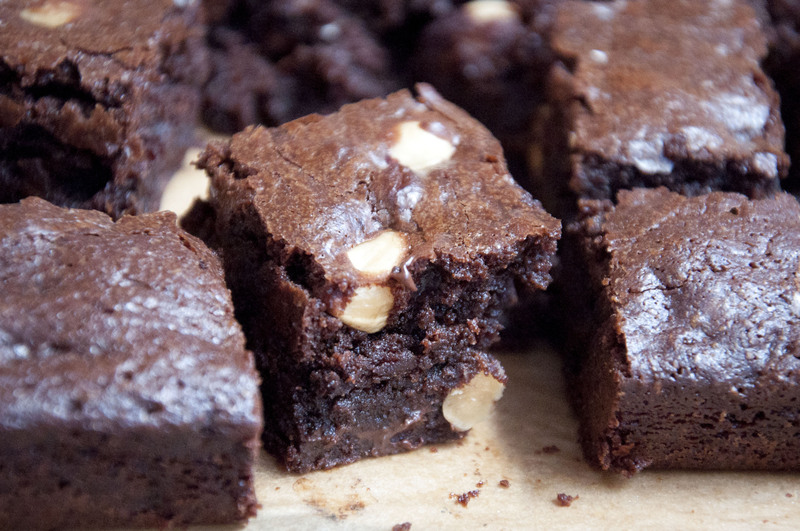 These brownies are rich, chocolatey, and gooey. They are pretty sticky! 1. Preheat oven to 325F. 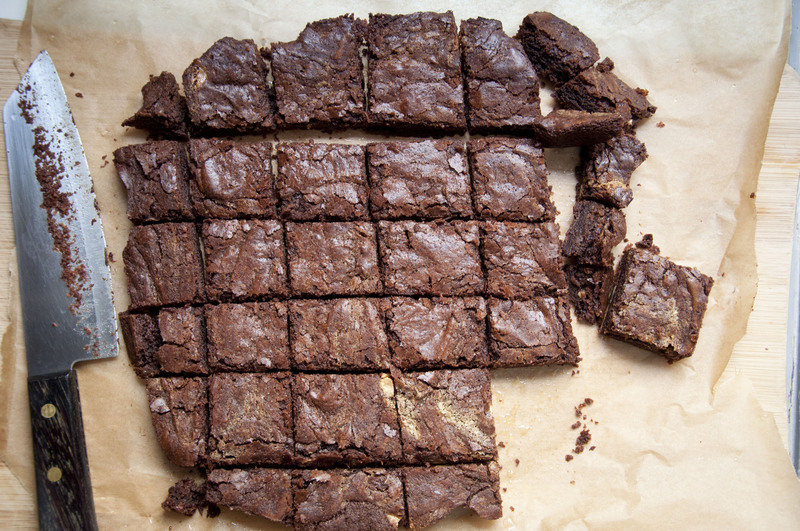 Prepare 8×8 pan by lining with parchment paper. 2. 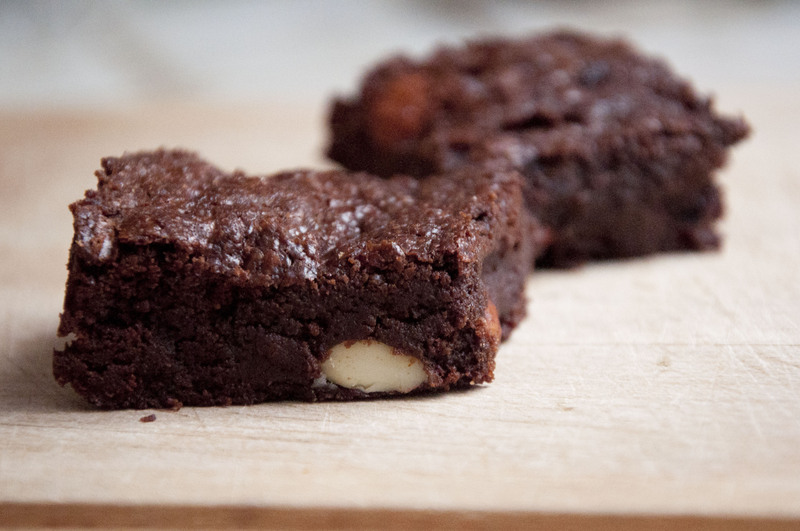 Over low-medium heat, melt together butter and chocolate. 4. 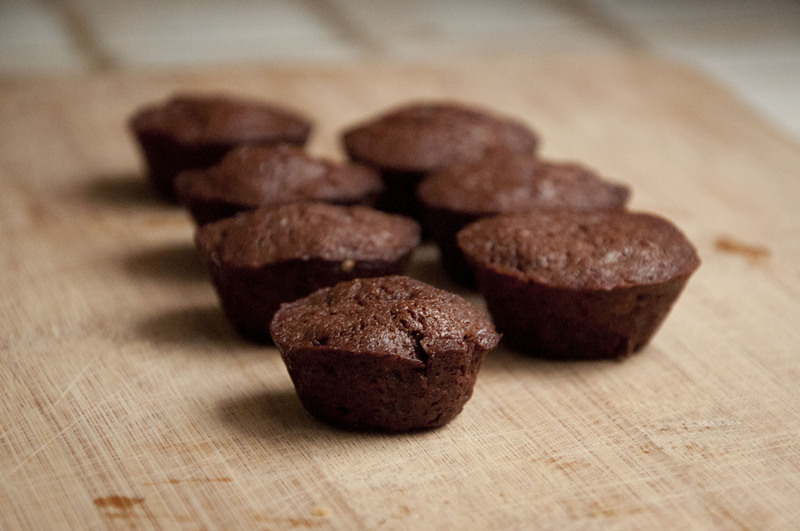 Mix in eggs when the chocolate mixture has cooled sufficiently. 5. Mix in vanilla and salt. 8. Pour into prepared pan. Bake about 30 minutes or until a knife inserted into the center comes out clean. I made a half recipe. 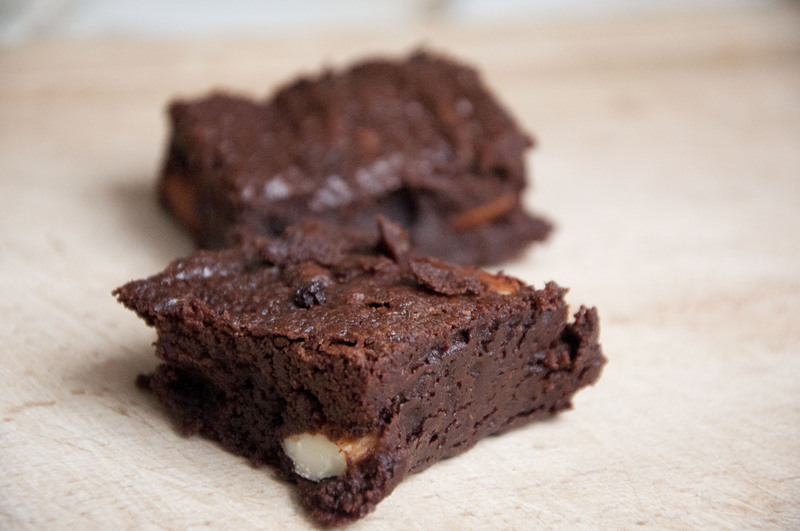 These brownies are crispy and chewy on the outside, yet fudgy and moist on the inside. They seemed a little greasy while baking, but then the grease went away. Putting it in cool water (rather than an ice bath) seemed to do the job just fine. 1. Preheat 350F. Prepare ice cubes and cold water in a pan. 3. Add sugar and vanilla. 5. Add in flour and salt. 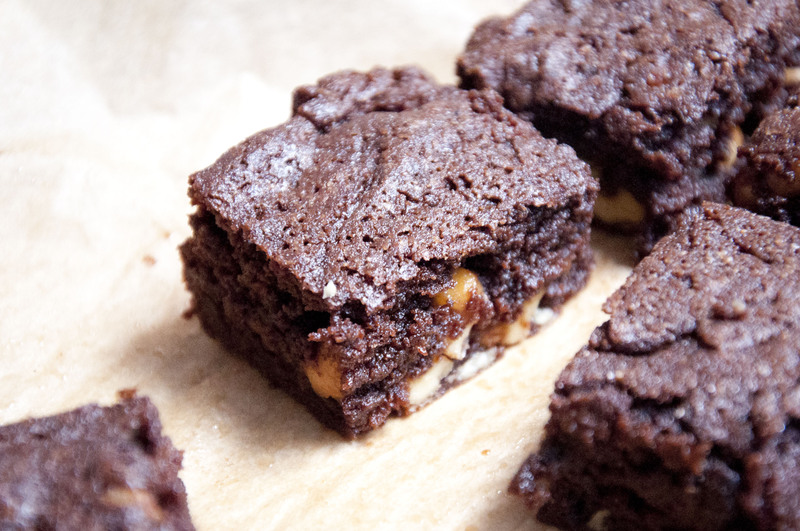 This recipe yields the richest, fudgiest brownies I’ve ever had. 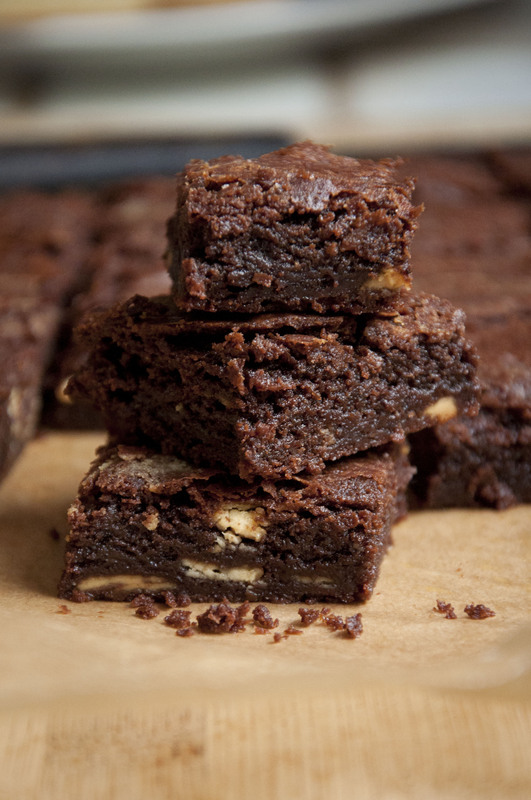 One note—the original recipe states that one cannot use a cake tester to judge the doneness of the brownies, since the high chocolate percentage means that the tester will still come out wet even if the brownies are done. 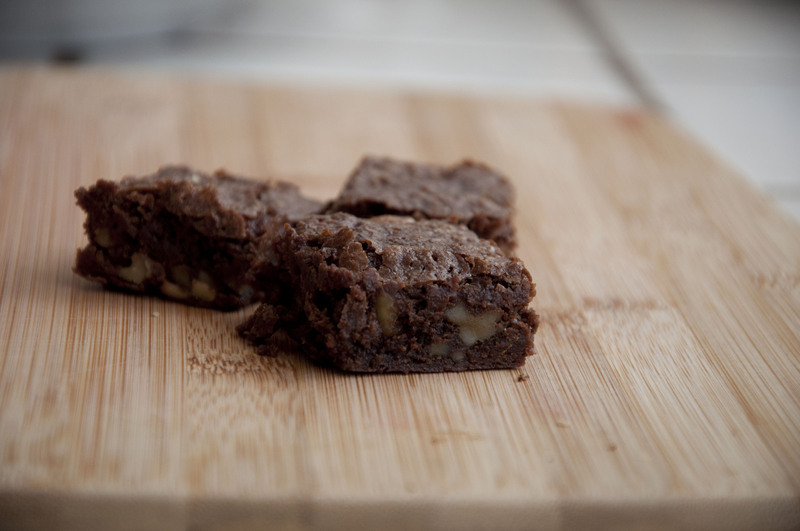 However, I found that the brownies were still raw after using the original bake time and following this rule. 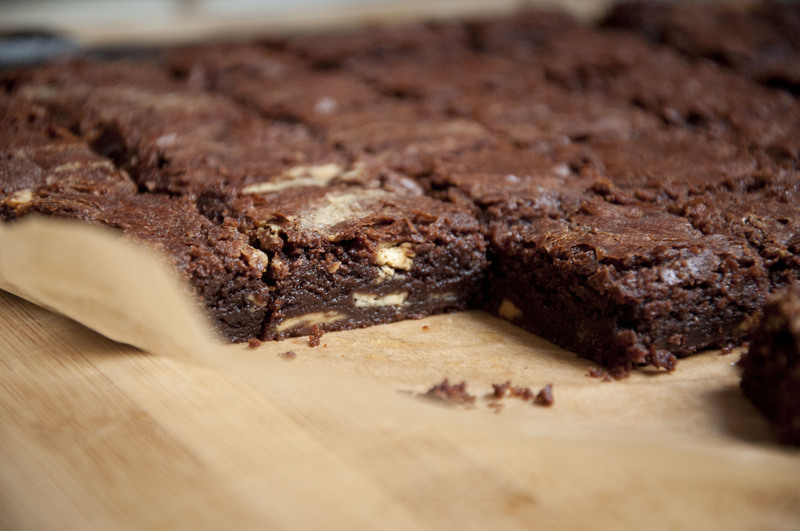 Therefore, it might make sense to remove the brownies when there are a few wet crumbs on the knife/cake tester. I ended up baking for almost twice the indicated time. 1. Preheat oven to 350F. 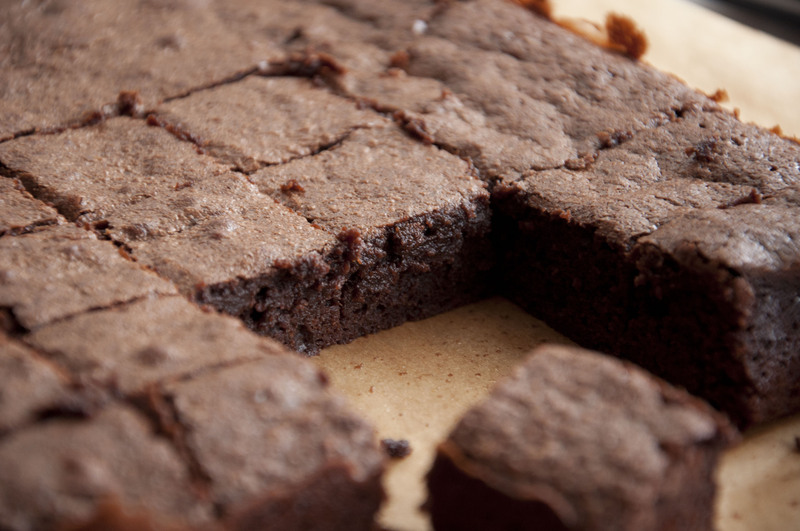 Prepare a 9×13 baking pan by buttering it, or by lining with parchment paper. 2. Melt the butter over low heat. Remove from heat and mix in chocolate. 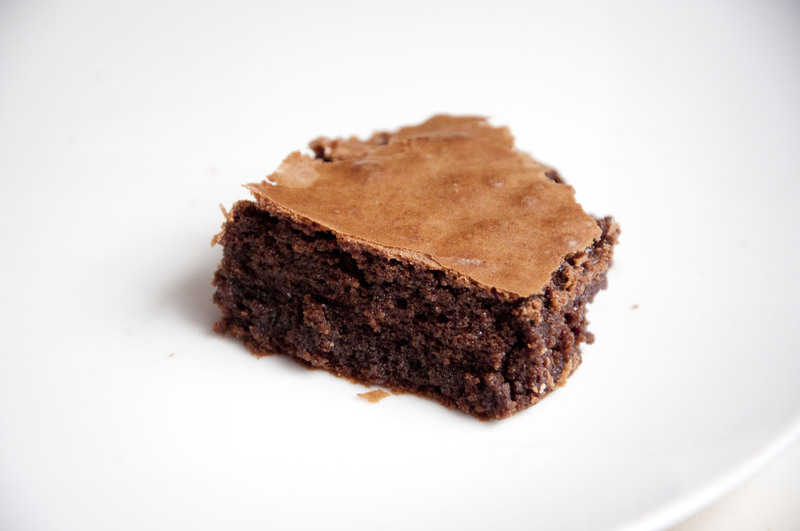 If chocolate does not melt from the heat of the butter, add to stove and heat until melted. Let cool. 3. Beat together eggs, sugar, salt, and vanilla. Beat on high speed until the mixture thickens, becomes pale, and falls from the beater in a wide ribbon, and slowly dissolves back into the surface (about 4-5 minutes). Alternately, you can use a hand whisk and whisk forever (ok, maybe about 2x as long). 4. Fold cooled chocolate into the egg mixture. 5. 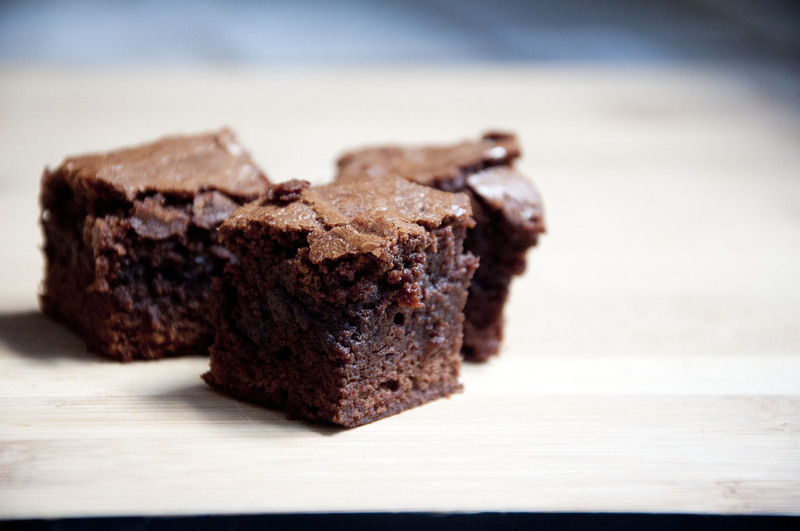 Fold in flour into the chocolate+egg mixture. 6. Pour batter into the prepared pan and smooth the top with a spatula. 7. Distribute nuts over the top if desired. 8. 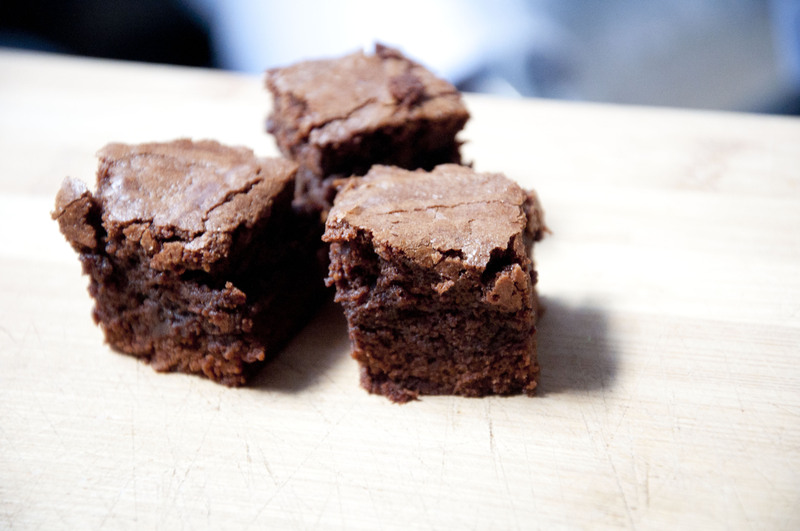 Bake about 25 minutes, or until the top looks slightly cracked and is soft to the touch. I’d recommend baking until the cake tester is more or less clean (i.e. not completely raw batter sticking to it). 9. Let cool and cut with a very sharp knife. Clean the knife between cuts. 1. Preheat oven to 350F. Prepare baking pan by lining with parchment paper or by greasing very well. 2. Melt together the dark chocolate and butter over low heat. 3. To the chocolate mixture, add the salt, cocoa powder, paprika, cinnamon, cardamom (if using), espresso powder, and vanilla. Mix until well blended. 5. Beat in eggs one at a time. 6. Add flour and mix until just combined. 7. 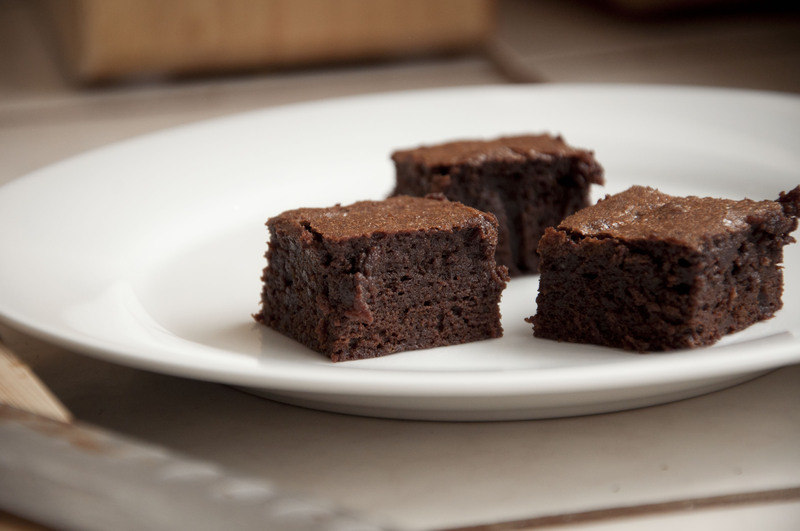 Pour into prepared pan and bake until a knife inserted in the center comes out clean.